Start with the lavender water. COMBINE 3 tablespoons water, 2 tablespoons sugar and a half spoon of dried lavender in the sauce pan. BRING to a boil and let it cook on low heat for a few minutes. Let it cool off completely and sieve the lavender water. 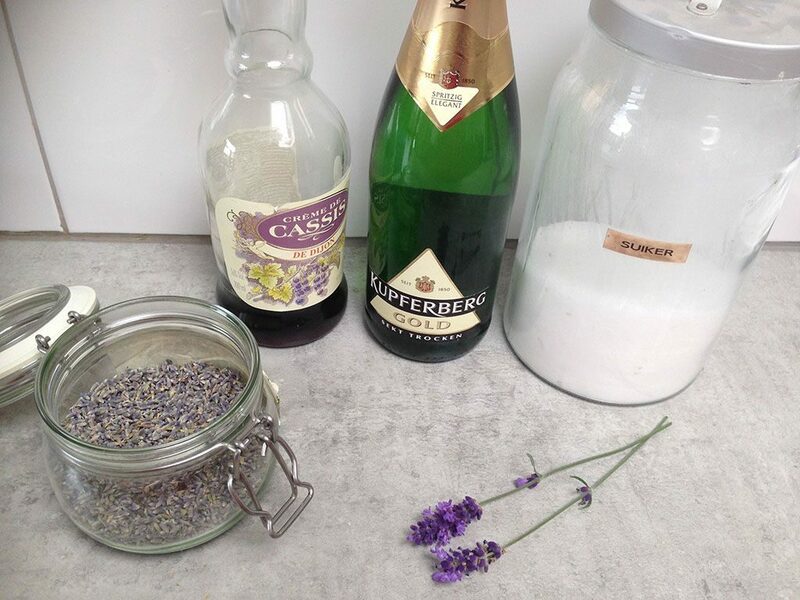 POUR about 2 tablespoons lavender water in the glasses and also about the same amount of crème de cassis. 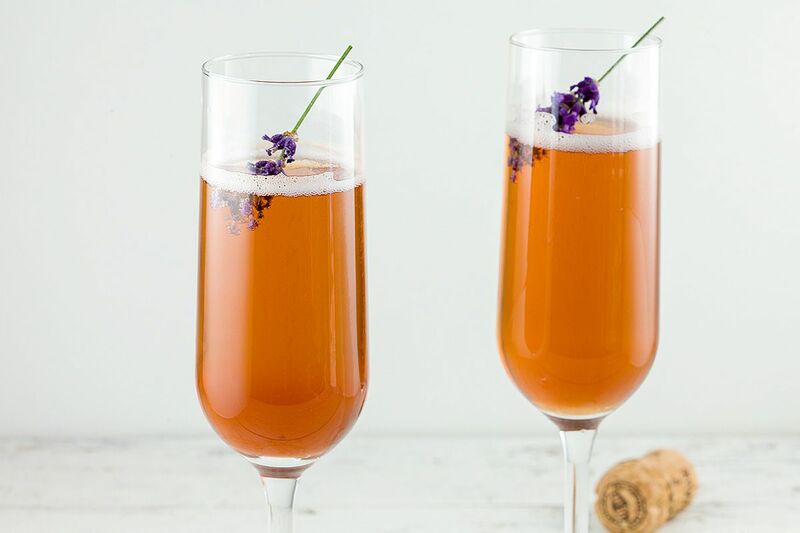 You can also use a blackberry liqueur instead of the French liqueur. 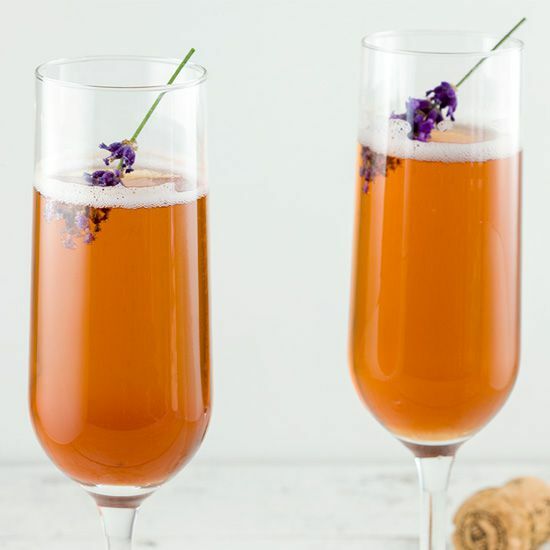 FILL the glass with champagne, or an other type of sparkling wine. 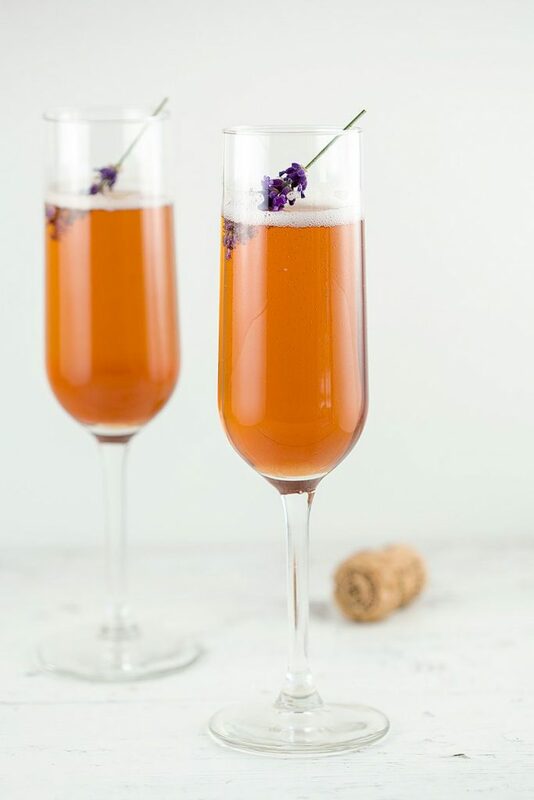 FINISH the cocktails with a sprig of lavender and enjoy!